Located in a very remote portion of the Indonesian islands is a place that seems mythical, a place forgotten by time and controlled by dragons. The island of Komodo is the only home of the 10 foot (3 meter) long Komodo dragon. The island has about 2,000 people living on it with a mostly traditional lifestyle. Numerous small islands and three larger islands, Rinca, Komodo and Padar, make up the park that was established to protect the dragons. That protection has been expanded to include Manta Rays and sharks protected areas. Diving in the KNP is year round, however, March to October provides the best conditions. The rainy season of December to February is the best time for diving with Manta Rays. However, The conditions can be so difficult leaving and returning to port that many of the land based operators close for January and February. Liveaboards are able to adjust for the weather better. Always dive with a reputable dive operator. Most of the sites are best for experienced divers. The park is located at the conjunction of the Indian and Pacific oceans. This plus numerous small island create a condition where there is always currents, sometimes brutal. 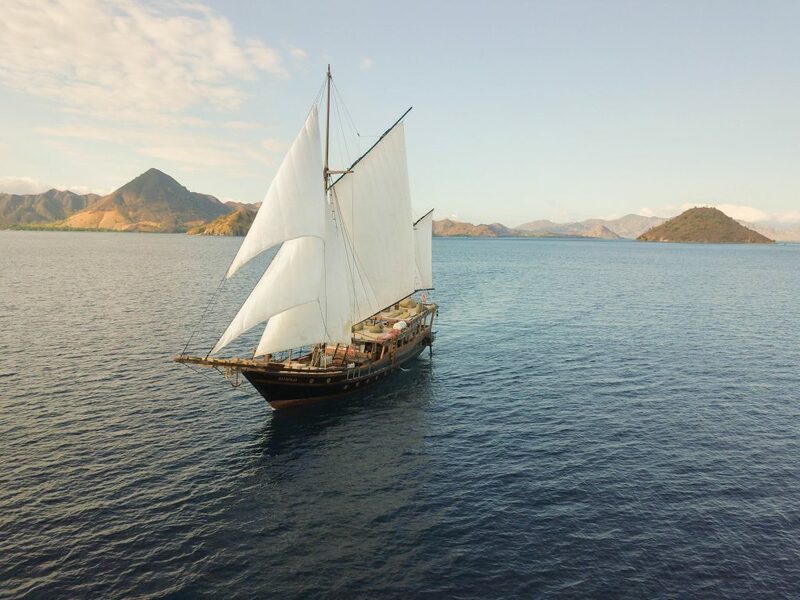 Dive Komodo Land based or Liveaboard? Both options have their strong points. 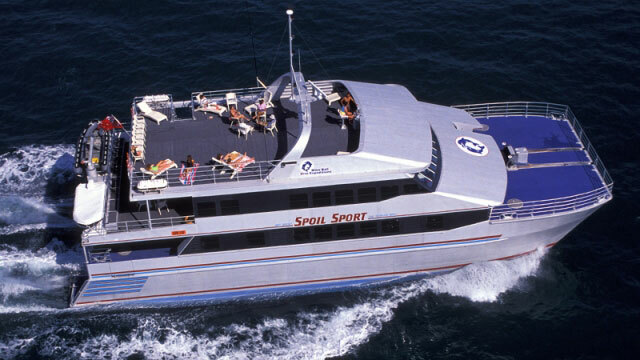 If you are diving in the wet season, then the liveaboard is the stronger option. At other times of the year, it is more about your viewpoints and diving skills. Liveaboards will get you to the more outlying dive sites, and since you are not headed back to shore before sunset more opportunities to enjoy nature and be in your own world. The strong currents might be too intense for some divers to do every day. 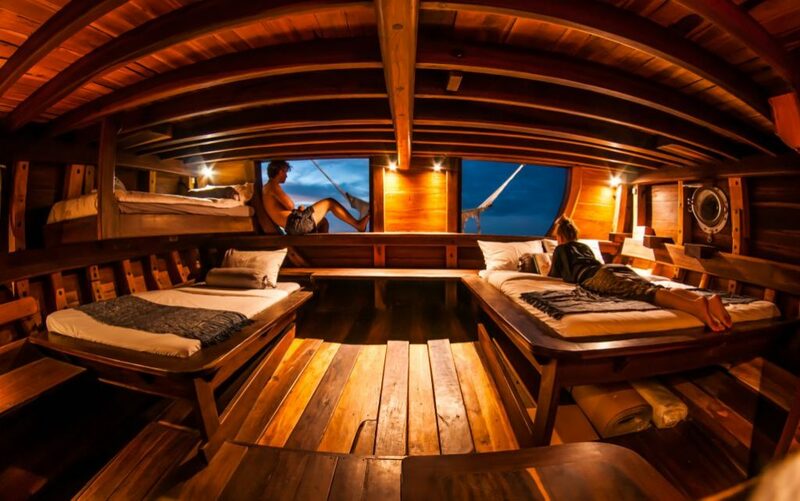 Some liveaboards offer short options were you can combine the two. Given the distance many divers will travel, consider a vacation in Bali leading into a Komodo liveaboard. 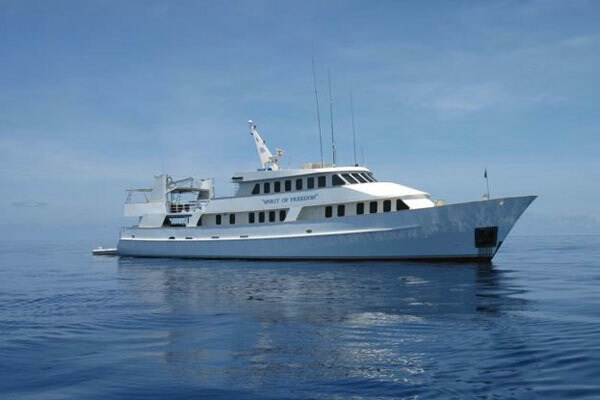 Divezone.net has some reviews of the different Indonesian Liveaboards including those going to Komodo. The Coral Sea & Ribbon Reefs- The Worlds Best Year-Round Liveaboard Destination. There are dozens of special destinations around the world that are normally only dived by liveaboard vessels. Often these destinations are very remote and difficult to get to. The Coral Sea & Ribbon Reefs is one of those destinations that is on many a diver’s bucket list. While the dive sites are very remote, the liveaboards depart from Cairns on the Queensland coast of Australia. A couple of different liveaboard companies sail from Cairns on a week long dive vacation to the Ribbon Reefs a portion of the Great Barrier Reef and out to a remote reef, often Osprey reef, in the Coral Seas. The two that dominate are Mike Ball’s Spoilsport ( read a review on the Spoil sport here) and the Spirit of Freedom ( Spirit of Freedom review). The liveaboards use different sailing dates and some will start with the ribbon Reefs and others will head to the Coral sea from Cairns. The week long trip is presented in a three day Ribbon Reef Segment and a four day Coral Sea segment. Lizard island acts as a transfer point for guest taking only one segment. The Ribbon Reefs are a series of long narrow reefs stretching about 55 miles in the Northern Reef area of the Great Barrier Reef Marine Park. There are ten of these reefs, no names just numbered 1 to 10. They are to the north and east of Cooktown. Cooktown a town of about 2,000 is itself isolated, a five hour bus ride from Cairns with one trip a day. The Ribbon Reefs are unique in their make up. 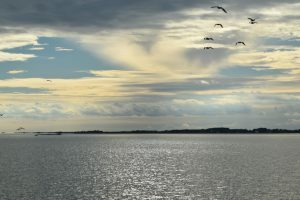 They share the same characteristics of typical barrier reefs, on the edge of steep drop offs on the ocean side with calm shallow lagoons between them and land. They do not have the broad flat tops that barrier reefs are known for. Some scientist classify them as a separate reef type. Breaks between the reefs are few and often present a strong current. It was these reefs that confounded Captain James Cook when he sailed to them. For the diver, they are perfect. The rich nutrients brought from the deep trenches causes the coral life to grown to immense sizes. It also brings pelagic species in to visit and feed. The outgoing current flushed away any sediment and waste built up from the vast marine life. The impact caused by humans is not apparent. They are far from any major human settlement and the pollution they can create. Only a few small liveaboard visit the area each week. Cod Hole get special attention as it has a number of man sized 90kg Potato Cods. Photographs and movies, In 1982, were used as part of a campaign to protect Potato Cod from commercial fishing. Not only were the images highly successful to protect the Cod, they also prompted making the area a marine sanctuary. To divers around the world, it showed what a perfect reef looked like. Over thirty years later, the visibility is still perfect, the marine life healthy and the Cod Hole dive site is still awing divers with perfect conditions and unbeatable marine life. If you got a group of experience divers together and ask them to describe their dream dive and if you put all the answers together you have the Osprey reef. A ten hour boat ride from the Ribbon Reef, is a massive underwater mountain that reaches over 3,000 feet from the ocean floor to just under the surface. The mountain top covers an area of about 195 square kilometers roughly 25 kilometers long and as wide as 12 kilometers. The central lagoon area is 30 meters deep at its deepest location with many dive sites as shallow as 10 meters. Osprey reef has an atoll appearance to it, as the central lagoon is surrounded by coral above sea level. The floor of the lagoon has massive crevices in places. One site got it name, Castles as the steep walled crevices and spirals create the image of a medieval town, with high walls and towers. Caves exist but inside and outside of the lagoon. Outside of the atoll, the reef takes on a different look. 45 degree slopes to depths beyond diving limits, in other locations shear walls. Seemly unlimited visibility with pelagic fish in abundance. The Osprey reef is one of the leading field research locations studying sharks. The variety and numbers of each specie is unmatched anywhere in the world. A dwarf nautilus is also found in these waters. The nautilus lives in the deep hundreds of meters deep but on some nights venture into shallow waters. Some of the largest coral fans in the world have been cataloged here and it is also the home of the stout infantfish a previous record holder of the world’s smallest fish. The remoteness adds to the thrill of the diving. Unless there is a scientific team doing research, your vessel will be the only one on the reef.